When Rocco Volpe encounters Amber again, he follows his instincts and suggests she become his mistress. She turns him down flat, and then changes her mind...for the sake of her little boy. Rocco might believe Amber had once betrayed him, but he still wants her – and his baby son. Wealthy businessman – and contented bachelor – Guy Carver is in Australia to take ownership of Jenny Westmere's wedding salon. It's strictly business. So no one is more surprised than Guy himself when he realizes that the deal he really wants to ink is making Jenny and her little boy his family by Christmas! Annie Roberts might just be a rising star at the Hasting Corporation, and she doesn't even work there. 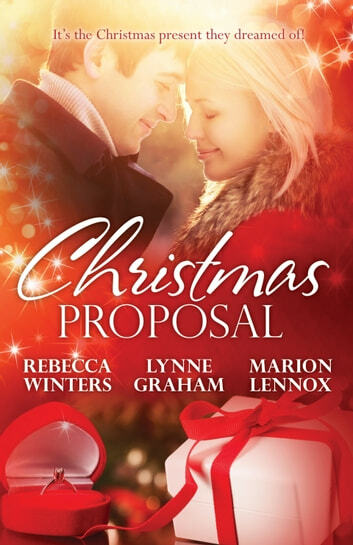 When her mom goes off on her honeymoon, Annie's tasked with taking care of the company Christmas party. Meanwhile, Annie finds herself intrigued by the womanizing Mitchell Reynolds. When he carries her under the mistletoe, will she be able to resist him?